Brahma, the Supreme Absolute, separated into male and female, and such creates and sustains the universe. This duality creates heaven and earth and the winds that move everything, and when a cold wind meets a hot on a summer day, the power is evident. Brahma is our Divine Grandfather that divided into our Divine Parents to create and sustain the universe. In the event known as Viraj, Brahma divided into God and Goddess, who are with us every moment of our lives or we would not be here. The God and Goddess are not a belief, but a given as you can see. You can clearly see that the Goddess is visible and God is not but moves everything visible. 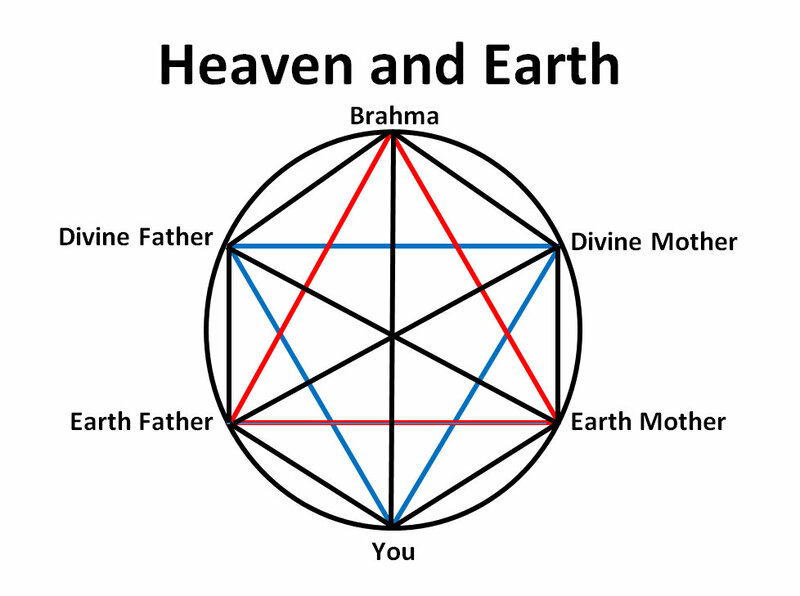 Brahma separated into heaven and earth, and a breath from heaven comes to us to live upon the earth. The Holy Teaching is to help others, help all creatures so that all can live peacefully. Heaven and earth are created to enjoy, and meditation and helping others is a cause of that. Here is a verse from the Veda with the wisdom to overcome delusion. To be born from a wind going towards and to obtain or be dead, it is unbroken to move or being inactive for a change to come, to press forwards attaining AH for the enjoyment of the earth and the wisdom for the delusion it causes.